Your wedding photo booth hire is entirely yours to control as there are no set packages, you create your own. Simply choose your booth, select how many hours to hire and include any additional extras to enhance your wedding photo booth experience. Your wedding gives you the perfect opportunity to get creative and express yourself. Odd Box offer a range of quirky and entirely unique booths so you can hire a photo booth that matches the style of your wedding. Perfect for all venues in Glasgow, Edinburgh, Dundee and across Scotland your Odd Box booth is guaranteed to create instant entertainment for your guests while providing that extra wow factor at your wedding. Your wedding is arguably the most important day of your life, so why do we think we are one of the best wedding photo booth hire experiences in Scotland? Odd Box Booths are entirely unique and stylish, designed and made in Scotland using locally sourced materials allowing you to hire a photo booth that looks fantastic at your wedding. The compact size of the photo booth means you can place us virtually anywhere, set up can be complete in 30 minutes or less with no disruption to your guests. The open air design creates an extra sense of entertainment, guests can watch each other share hilarious moments together while allowing even more people into the photo. Photo bombing is a must! The wedding photo booth experience is the perfect highlight to an unforgettable and life changing day. This allows you to capture instant memories of your loved ones while providing them with a perfect keepsake to cherish, let us share some of our top tips to help you enhance your wedding photo booth hire. 1 - All Odd Box Booths provide the same features, the difference is in style so choose the best photo booth for your venue and wow your guests. 2 - Turn your hire into a story with your own wedding guest book where guests leave a copy of their prints and a lovely personal message. 3 - Use your venue as the backdrop to capture it's beauty and create a unique wedding photo booth scene. 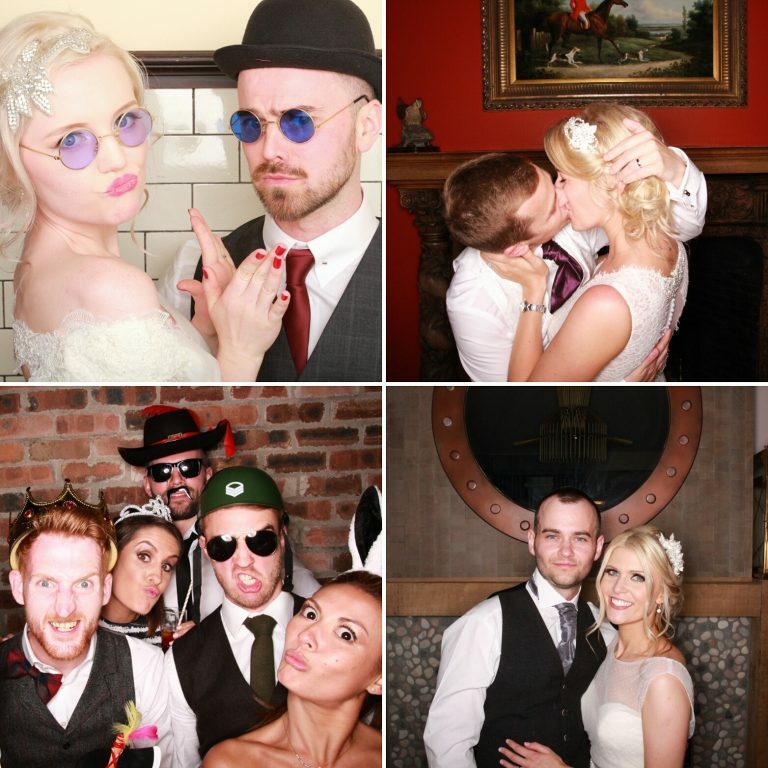 4 - Customise your wedding photo booth prints and guest book to match the style of your wedding invitations or theme. 5 - For a wedding with an average amount of guests normally couples book a 2 to 3 hour hire, extra hours and odd hours are available. All wedding photo booth hires in Scotland include unlimited photo booth sessions, instant prints, free props box with a huge variety of props, our lovely photo booth attendants and a free online gallery where you can purchase larger prints and download your images after your wedding. To view our prices, learn more about the photo booth hire experience and discover how you can book your wedding photo booth take a look at our photo booth hire prices page. Odd Box photo booths have been featured at many renowned wedding venues in Scotland such as House for an art lover, Mar Hall Hotel, Grand Central Hotel Glasgow, Carberry Tower, Fyvie Castle, Glenbervie House Hotel, Pollok House, Seamill Hydro, Trump International Golf Links, Hopetoun House. We can provide our wedding photo booth hire to Edinburgh, Glasgow, Ayrshire, Stirling, Falkirk, Aberdeen, Fife, Perth, Dundee, St Andrews, Inverness, Scottish Borders, Carlisle and everything in between.